Recitals and concert appearances have been numerous, with Sofya Gulyak having performed all over the globe in such venues as La Scala Theatre and Sala Verdi in Milan, Herculessaal in Munich, Salle Cortot, Salle Gaveau and Salle Pleyel in Paris, Tokyo Opera City Hall, Osaka Symphony Hall, Great Hall of Moscow Conservatory, Konzerthaus in Berlin, Gewandhaus in Leipzig, Kennedy Center in Washington, Hungarian National Opera, Palais de la Musique in Strasbourg, Hong Kong City Hall, Shanghai Grand Theatre, Musashino Cultural Centre in Tokyo, Finlandia Hall in Helsinki, Bridgewater Hall in Manchester, Teatro Municipal adn Cidade des Artes in Rio de Janeiro, Auditorium Manzoni in Bologna, Aberdeen Music Hall, Salle Molière in Lyon, Walt Disney Hall in Los Angeles, King Theatre in Rabat, Kursaal in Bern, Tivoli Concert Hall in Copenhagen and many others. She collaborated with conductors such as Vladimir Ashkenazy, Sakari Oramo, Mark Elder, Donald Runnicle, Vasily Petrenko, Alexander Lazarev, Karl-Heinz Steffens, David Hill, Alan Buribayev, Eiving Gullberg Jensen, Theodor Guschlauer, Rory McDonald, Tamami Nishimoto, Danail Rachev, Fabio Mastrangelo, Michele Mariotti, Fuat Mansurov, Alexander Sladkovsky, Mario Kosik, Jesus Medina,Tomomi Nishimoto, Istvan Denes, Peter Rubardt, Dalia Stasevska and others. The festivals in which Sofya Gulyak participated include Klavier Ruhr Festival, Chopin Festival in Duzniki-Zdroj, Festival du Sceaux, International Keyboard Festival in New York, International Strasbourg Festival, Busoni Festival, Harrogate Festival, Krakòv Piano Festival, New Zealand Piano Festival, Ravello Festival, Festival Chopin in Paris, Shanghai International Piano Festival and many others. 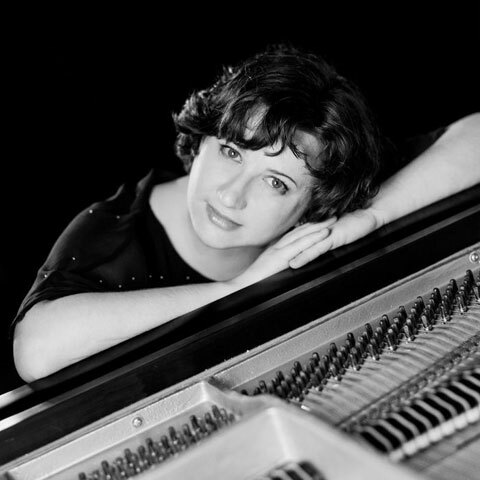 Sofya Gulyak’s recording of Russian piano music (Medtner, Rachmaninoff, Prokofiev) was released on Champs Hill Records in 2013 and received a 5 stars review in Diapason magazine (“What a pleasure to hear the piano blossoming and projecting in the most vivid of ways when played by Sofya Gulyak. The singing sound alongside dazzling and powerful execution distinguishes an outstanding natural pianist”) and praising reviews in Gramophone (“This is a stunning debut album…”) and Guardian magazines (“Sofya Gulyak is a fearless pianist, never afraid to scale the most technically demanding heights of the repertoire and equally proud to wear her heart on her sleeve”). Her CD with Brahms music was released on Piano Classics in the spring of 2015 and got glowing reviews from American Record Guide ("The Handel Variations is among the top contenders on record. From the very first notes she takes charge and envelops us in a thrilling sequence of variations that will send goose bumps to susceptible listeners. Not only does she perform with arresting contrast and lovely, soft floating tone. She keeps you on the edge of your seat, as the music presses ever forward. Sometimes I was reminded of the young Argerich.." and Fanfare magazine (" Her musicality is beautifully attuned to the spirit of Brahms...I must praise Kazan-born Russain pianist Sofya Gulyak, whose impressive reading places a stronger emphasis than Perahia's in the continuity of the variations... She is a natural Brahmsian whatever his moods."). Her last CD with the Chaconnes for Piano was released by Champs Hill Records in 2017. Sofya Gulyak attended as a jury member the International Piano Competitions in Italy, Serbia, France, Greece, USA, and was invited to teach master classes in China, Italy, Australia, New Zealand, Philippines, Hong Kong, Mexico, USA, and Germany. She is presently a professor of the piano at the Royal College of Muisc in London. Her playing has been broadcast on radio and TV in Russia, Poland, France, Italy, Germany, USA, Finland, Denmark, Serbia, New Zealand, Brazil, Mexico, and the United Kingdom (BBC 3 and BBC 4).